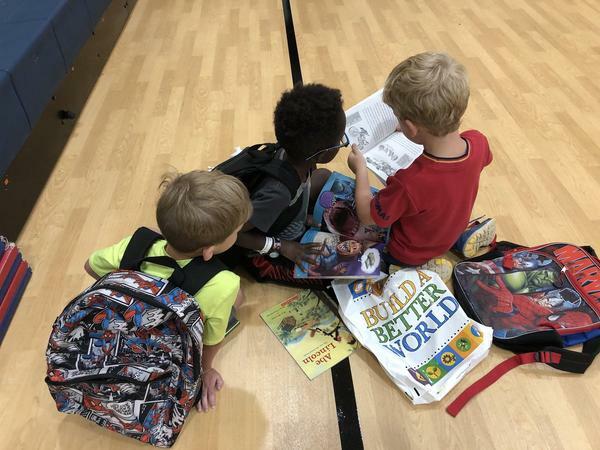 Olathe students read books from the Olathe Public Library during summer school. Kansas public schools will see $27 million from the U.S. Department of Education to improve literacy for all kids — including those not yet old enough for school. Not every district in the state will see money. But the Kansas State Department of Education is working with the Center for Research on Learning at the University of Kansas to make sure schools have access to the latest research on effective strategies to teach reading from birth to 12th grade. Myers said the KU researchers will help school districts find exactly what they’re looking for in the U.S. Department of Education’s database of research on literacy and learning. The researchers also can provide virtual coaching to teachers, which is helpful in rural areas that don't have a reading specialist on staff. “We know when instructional coaching is provided by school administrators, it has less of a likelihood of working because that administrator also has to evaluate that teacher,” Myers said. Thirty-two school districts received money from the grant, 95 percent of which must be used in classrooms. Districts had to submit a literacy plan to the state detailing how they would support readers in each age group. Linda Boxberger, an elementary English language arts coordinator for the Olathe Public Schools, said it’s exciting to have this focus on literacy in every grade. To support students from birth to age 5, Olathe will work with the New Teacher Center in California on outreach to preschools and daycare providers. Olathe's elementary schools will hone in on how writing is taught, Boxberger said, while the focus in middle and high schools will be literacy across disciplines. Elle Moxley covers education for KCUR. You can reach her on Twitter @ellemoxley.